Welcome to PC-hardware information. Here we will attempt to offer some guidance & advice for beginners who may be confused by the new world of home & studio recording & dance music making. Soundcards or audio in/out devices. Master keyboards for composing and inputting midi data. 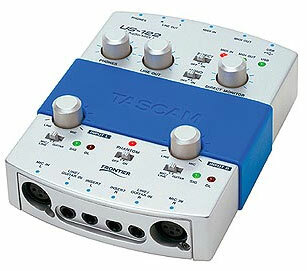 Controller units for manipulating software instruments or sequencers. Storage devices for audio data and backup. These are the top-selling soundcards, USB & firewire audio in/out units last month at Thomann superstore, one of the largest retailers in Europe - This shortlist gives you some pointers as to what products are popular in this category at today's date. 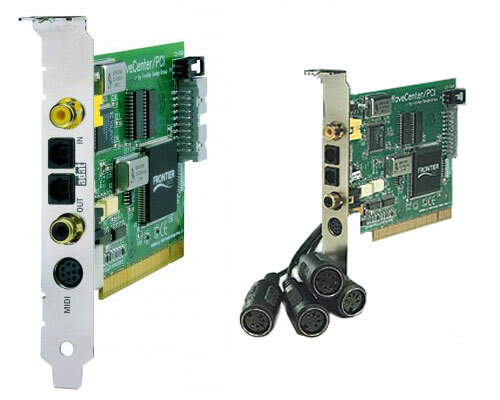 PCI(e) Cards with either stereo in/out or multiple in/out on a cluster of breakout cables which hang off the physical card. PCI(e) Cards with attached dedicated external breakout boxes or racks. PCI(e) Card's which can utilise ADAT lightpipe compatible in/out rack units or actual ADAT recorder machine's themselves. The above type's of audio in/out devices often have additional digital in/out connections, either in the form of simple S/PDIF or Optical stereo in/out, or they may have the ability to also add-on ADAT lightpipe units to gain additional physical inputs and outputs. For dance music, unless you need to use more than one external hardware sound generator in your compsitions such as a synth with a simple stereo output, then a stereo in/out device is 100% fine and will be all you need to record any required stereo or mono audio parts and to monitor your composition as you work and finally mix - For users who wish to integrate external hardware kit such as a few synths or a synth with mutiple outputs and/or maybe a drumbox or sampler etc, you can either use a hardware mixer feeding into a stereo input device on your PC, or you can use a multiple input PC-audio device and feed the audio OUT's from multiple external hardware units IN to your onboard mix in realtime rather than using an external hardware mixer. These are the top-selling MIDI in/out units last month at Thomann superstore, one of the largest retailers in Europe - This shortlist gives you some pointers as to what products are popular in this category at today's date. MIDI in/out devices come in a variety of sizes from simple USB units offering a single MIDI Input/Output & Thru socket, to full-on rack or table-top devices offering multiple MIDI Inputs/Outputs & Thru's. 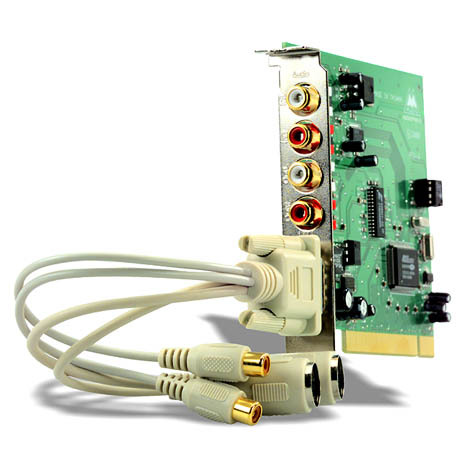 Most audio soundcards or USB/firewire audio in/out devices come with included MIDI in/out/thru ports, either on a small breakout set of cables, or on a dedicated external rack or table-top unit which also houses the actual audio in/out sockets and attaches to the card via a dedicated cable. 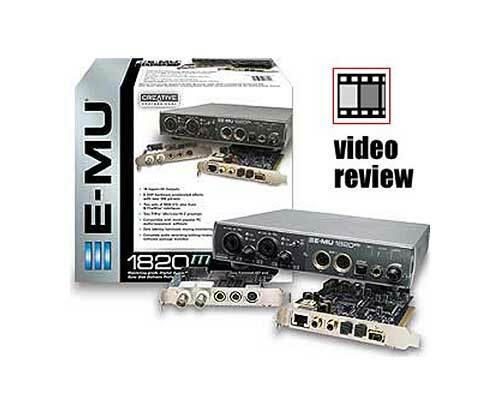 Other MIDI port devices exist, such as dedicated MIDI THRU boxes and MIDI MERGE boxes and even MIDI patchbay devices which allows incoming and outgoing MIDI cables to be patched to each other in pretty much any configuration required. For the beginner with a simple dance-music home studio your normaly included MIDI in/out on your audio in/out device will be all you need; but if you have perhaps a master keyboard and a dedicated controller unit and only one MIDI input on your Computer, then you will need to add either additional MIDI ports to your PC or add a MIDI MERGE box which can feed both your controller and your masterkeyboard IN to your single MIDI input at the same time. These are the top-selling Master-keyboard units last month at Thomann superstore, one of the largest retailers in Europe - This shortlist gives you some pointers as to what products are popular in this category at today's date. Master keyboards or 'MIDI Master Keyboards' can be generaly thought of as a MIDI device for playing MIDI data into your sequencer or hardware synth/drumbox/sampler module or rack unit - A MIDI master keyboard can also be breaodly thought of as a keyboard device with no actual onboard sounds; it is used soley to trigger anything which makes a sound but usually has no onboard sounds itself - This is not a rule however because of course ANY MIDI keyboard can be employed as a 'Master Keyboard', but dedicated Master keyboards tend to not have sounds onboard or at least originaly they didn't have sounds onboard, and thus they were usualy much cheaper than a dedicated synth with a keyboard. Master keyboards with a basic keyboard, patch change buttons and Mod/Pitch-bend wheel controls. Master keyboards with the usual controls as above, plus added extra realtime controllers (either sliders or knobs) for adjusting software synths, samplers, drums etc. Master keyboards with the usual controls, added realtime controllers AND audio in/out added onboard! - These work as a keyboard, controller and audio/MIDI in/out all in one! Here's a selection of hardware-controller units at Thomann superstore, one of the largest retailers in Europe - This shortlist gives you some pointers as to what products are available in this category at today's date. 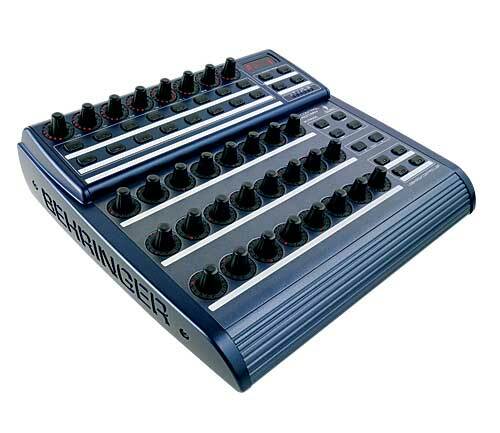 Controller units can be anything from a simple small table-top 'tablet' device offering a few knobs or sliders, right up to massive full-on sequencer controller-mixers such as Command-D for Pro-tools or the Euphonix controller mixer systems. A controller unit of some type is very important for dance-music creation because so much of classic dance-music technique involves the creation of evolving sound parts being manipulated over time on top of a linear backing arrangement. This technique goes back to the early days of live dance-music where performers and deejays would run a backing groove and then make creative filter and envelope moves over the top of this linear backing groove using a sync'd synth unit such as a TB-303 or MC-202 or SH-101 etc. This technique of mixing a groove backing pattern sequence with an overlaid evolving sound includes filter sweeps and this technique can be applied not only to the filter on a synth, but by passing drums or the whole mix thru a filter unit and sweeping other sounds besides synth sounds. Nowadays filter sweeping and synth filter sweeping are standard techniques in dance-music and thus a controller unit of some type is a must for applying and recording these techniques easily to our compsitions. Additionaly a controller unit is very handy for tweaking and recording other parts such as panning moves, fx moves and many more, and the biggest bonus of all is that with a controller-unit mapped to several parameters of a synth or effect plugin at once, you can create sounds or make controller moves on more than one parameter at once! - this is something you just cannot do when using only a mouse to adjust parameters as you record. Obviously with a mouse you can only grab one parameter in the s/w GUI and move it while you record or edit a sound, but with a controller unit you can assign multiple controllers to various parameters of your software synth or mixer and tweak more than one parameter at once. So... get a controller unit of some type; it doesn't have to be expensive; even a simple 6 slider or 6-pot controller will do as nowadays most host sequencers and software synths allow incoming controllers to be re-mapped to the required destination. What we're talking about here is hard drives in some sort of external format whether USB or Firewire or more esoteric types such as eSATA. Backup and store is a much overlooked part of a pc music system and you will ignore this at your peril! - Sadly, most users only realise the value of backup storage once they have lost all their data to some critical crashg or drive-death - DON'T BE A VICTIM! - Try and get some backup storage sorted as soon as possible. Nowadays external bolt-on drive devices are so cheap! You can pickup 500Gb (1/2 Terrabyte) or 1-Terrabyte (1000 gigbytes) drives for typical in the UK 70-80 GBP for a 500mb drive and around 100 GBP for a Terrabyte drive. All the major drive manufacturer's supply such units so take your pick! For safety it is advisable to store completed songs on your PC's internal hard-drive - preferably on a dedicated 'storage' partition rather than on the working audio-drive or audio-partition.... BUT! DON'T THINK THIS IS ENOUGH!... If that storage drive or partition dies or gets corrupted, that's it!.. ALL your work is lost forever! So, when you have finished work on a song, archive it, together with copies of all the included audio and samples to a folder on your internal 'storage' drive/partition, and ALSO copy and ADDITIONAL safety backup to your external bolt-on backup drive. The beauty of bolt-on external USB and Firewire drives is that they are as mentioned very cheap now, but more importantly, they can be removed when not required, swapped with ease, and stored when full for possible later retrieval of data which has been lost from an internal drive on your PC. Remember, if creating an archive song, ALWAYS include copies of the included audio data and samples used in the song your are archiving! - Why?... because if you just backup the song ONLY and your internal drive dies, then sure, you can reload the song from your backup/storage external drive, but all the audio and samples could be lost if they were living on the drive which died! Nowadays all the major sequencers feature a save/archive facility which will first make copies of included audio-regions used in your song, (discarding any audio NOT used in the final song arrangement), and then it will save the song complete with all included audio regions and all samples to a destination of your choice. Most major sequencers nowadays will prompt you to copy samples that you load into your sampler to the song folder from their original destination you loaded them from. If this 'prompt' doesn't happen when you load samples then it will be an option in the SAVE-SONG preferences - ALWAYS do this! - ALWAYS copy any samples used to your song folder and always archive these samples with your stored finished songs - It may use up more drive-space to archive the audio and samples included with your song, but it is better to be safe than sorry later... trust me! Another reason for using bolt-on external drives is for recording and playing back audio as a dedicated audio-drive. A typical SATA drive found inside a modern PC or MAC has enough bandwidth/throughput to deal with most typical recording & playback rates with ease. But while dance-music usualy uses very few if any audio tracks, you may also want to record multitrack bands and may require more drive throughput, especialy if you record at higher sample-rates and bit-rates such as 92k & 24-bit. Alternatively you may also want to work to video and it may be handy in either case to have an external drive for handling such tasks. Again, a typical internal SATA drive in your Windows or MAC PC will handle video and audio streams with ease if the track rate isn't very high and the video is low-resolution working offline video. But if you DO require very big track rates or very high quality video playback then eSATA RAID external drive units can always handle massive bandwidth. Finaly you might be using an iMAC which has only a single internal drive and cannot be upgraded... or you might have a windows PC with just a single internal drive and you dont fancy opening her up to add additional internal drives. In either scenario you can solve this by using an add-on external drive for recording audio onto. NOTE: If you DO record and save your songs to an add-on external drive and this drive houses the only copy of your song and it's audio data, then get a second external drive for backups... again, better to be safe than sorry - Remember, an external drive used soley for backups doesn't need to be fast, and thus it can cost very little! or nominate an unlisted PC-hardware item here! For listed drumboxes, please leave your comments or review on the actual PC-hardware unit's item page - You can browse all PC-hardware in the GEAR section - if you have an actual question, try asking on the forums. i m desperate to know which laptop i should use with a motu audio card. i have a dell inspiron 8000 laptop, i would like to buy the prophellerhead "Reason" software, to make music, im using "ESS Maestro". can u kindly advise me more about this subject? dove posso trovare il sito x vedere sonar xl? 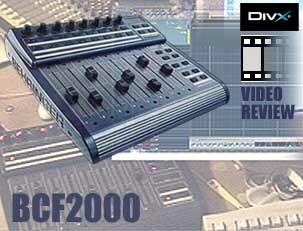 where in the world can I find a scuzzy external cd rom player for my mpc 2000xl??? ?If you have any hint,please let me know;I've been looking everywhere...NOTHING!! !How am I supposed to read my samples?Thank you for your input. I am trying to load my cassette recordings from a tape deck into the computer.Now,I am using the left/right line out on the tape deck connected to the single line in jack on the soundcard.When the recording is finished and I check it with my media palyer,all the sound comes out of the left channel and hardly any sound comes out of the right channel--this is still the same when i convert the wav. file over to mp3---can anyone help ? is this problem associated to the cheap soundcard ? Im trying to get my Mixer or Amp to connect to my PC. So i can record sets on the PC to burn on to CD. Hello, i'm a portuguese music producer and composer. Hi there...Plse could you tell me how to Remix music and software to use. How do I get SONAR 3 Studio to interface with my Edirol ua-25? It won't link to the software. Convolution is often associated with reverbs, but Synaesthesis offers much more than this. Sometimes it is not easy to realize that convolution has more possibilities than reverb emulation. Synaesthesis is a collection of impulse response files designed for electronic musicians and sound designers in search for new possibilities of transforming and spicing up their music and sounds that turns any convolution engine into a powerful multi-FX processor. Check out the audio demos and get a some free demo IRs. My drummer has pro tools and logic software and we're currently recording our new demo using these. We are essentially a guitar band with a dancy edge but want to make one of our tracks quite electronic sounding, especially the drums with distorted electric guitar. Drums and guitar have already been recorded and are raw at the mo. Any ideas on how to 'dancify' them? We've got the ideas but any advice on what software to use for pc? I would like to be able to read my Roland MC 50 3 1/2 in floppy on my pc. I have not found a download to make this happen. Does it exist? there is super-mrc maker package in the files library, which might help. does anyone out there have the reason 1.0.1 update for os9? I need a software that would let me open the VST plugins in real time a VST host applications which allow me to use the microphone with the plugin at the same time.